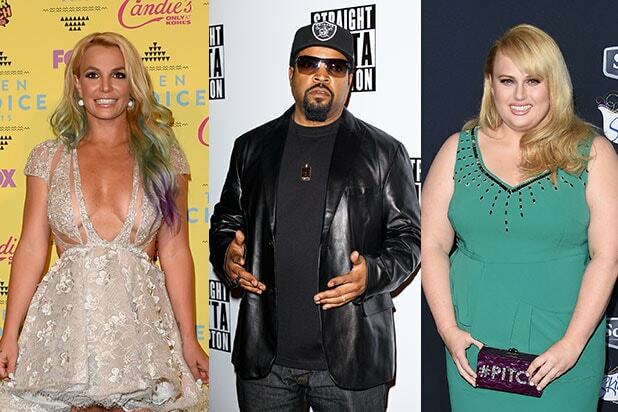 Britney Spears, John Legend and Ice Cube will be among the presenters at this year’s MTV Video Music Awards, the television channel said Friday. The full lineup for the 2015 award show was revealed, including other presenters such as Rita Ora, Rebel Wilson, Emily Ratajkowski and Jussie Smollett. On Thursday, Nicki Minaj announced that she will open the 2015 MTV Video Music Awards. The awards show will feature Miley Cyrus as host. In addition, Justin Bieber, The Weeknd, Pharrell Williams, Demi Lovato, Macklemore & Ryan Lewis, Tori Kelly, A$AP Rocky, Nick Jonas and Twenty One Pilots are confirmed to perform. In addition, MTV has teamed up with fashion designer Jeremy Scott to redesign the MTV Moonman trophy for the 2015 VMAs. Artists who win a 2015 “Video Music Award” will take home a special-edition Jeremy Scott Moonman, which was created exclusively for this year’s show. The VMAs will air on MTV Aug. 30 at 9/8c, live from the Microsoft Theater in Los Angeles. 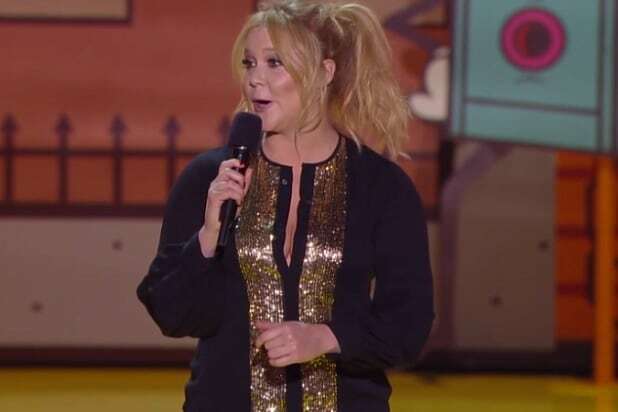 Best: Amy Schumer was the perfect host -- sending up the year's biggest films with her blunt delivery, and working in a bit of her standup with some healthy plugs for her upcoming Judd Apatow comedy "Trainwreck." Worst: The cast of "Magic Mike XXL" is nice to look at, but a random bit about how actors Matt Bomer, Adam Rodriguez, Channing Tatum and Joe Manganiello are coming to accept sexual harassment from their female fans didn't land. Stick to dancing. Best: Vin Diesel tugged at heartstrings by singing a few bars of "See You Again," the "Furious 7" Paul Walker tribute song by Charlie Puth and Wiz Khalifa, before presenting the trophy for Best Female Performance. Worst: Separately, we love Mark Wahlberg's east coast chop-busting swagger as much as we do the beautiful melodies of Jessie J. Together presenting Best Comedic Moment, however, their severe lack of chemistry is no laughing matter. Best: Shailene Woodley took home the first award of the night for Best Female Performance in "The Fault in Our Stars" and immediately made the book's author John Green cry with a heartfelt, touching tribute. Talk about starting things off on a high note. Worst: The "Fantastic Four" cast didn't share any new clips or trailers for their movie. Likewise, they didn't seem to share any chemistry onstage presenting the award for Best Duo. Best: Rebel Wilson will always be herself, and she was at her Rebel Wilson-est during an appearance with her "Pitch Perfect 2" co-stars, when she strutted out in skintight leather and angel wings. Because why not? Worst: If the comedy stylings offered up by Reese Witherspoon and Sofia Vergara while the duo presented Best Kiss were an indicator of the kind of humor in their new movie "Hot Pursuit," it's going to be a hard sell. Best: Robert Downey Jr. is Marvel's first and brightest star, and has long been a treasured entertainer. His Generation Award was inevitable, and he delivered by thanking his "Avengers" costars and telling youngsters to follow their dreams.